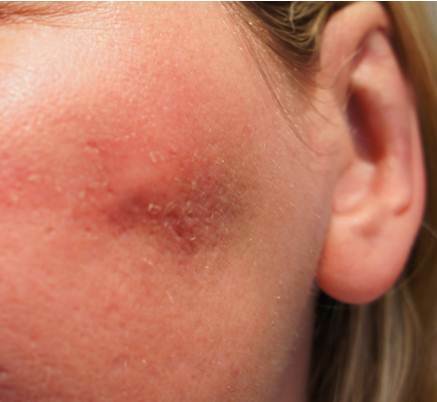 Infections related to dermal fillers are very uncommon. Infection is always a risk when a needle is injected into the skin, even with the best sterile technique. Infection can occur immediately or some weeks after the injection. 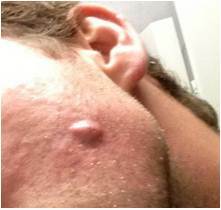 The signs will be redness, tenderness, swelling and pain with or without nodule/s. Anecdotally, the h****** a***with the higher particle sizes or those which are placed in a deeper plane or those which require a larger bore needle or cannula seem to have an increased risk for infection. 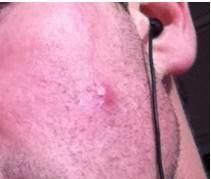 Also anecdotally, infections are more common in those who have a history of acne and acne scarring. * The treatment should be as sterile as possible, ie cleaning area, sterile gloves and gauze. * Be extra cautious in patients with a history of acne or acne scarring, and consider antibiotic treatment preventatively in this circumstance. The patient will present with a combination of lump, redness, tenderness, swelling or pus. It is often only on one side of the face. They may present soon after treatment or weeks to months afterward. * Removal of product in affected area using a needle if possible. Culture of this material may be performed. * Hyaluronidase (the drug that dissolves h****** a***) should be considered. I use the concentration of 150U/10 mls. I prefer to only use 10U in the first treatment, but am happy to use up to 15U in subsequent treatments. There are risks associated with this including allergy, ? removing the patient’s own h****** a*** and other issues. A test patch on the arm may be used. * Injection into the affected area with Gentamicin(80mg/2mls) I would use 1ml for an affected cheek. I use 3 treatments of this, one week between the first injections then wait 2 weeks for the last. This schedule may be shortened if necessary. * Once infection has improved, hylaluronidase, while on oral antibiotic cover. When can dermal filler be used again in the area after an infection has been present and treated? My answer here is that I don’t know. There will always be a significant risk of reinfection. My best guess on the answer to this is “years later”.